A lot of us are in search of a good Paleo diet app that would help us get started. And it is even becoming handier when you have that information available to you on the device that is always with you, i.e. on your phone. The Paleo diet applications offer the convenience of having certain information and tools available to you at any time. Recipes, shopping list, general information or even carbohydrates calculator – these are just a few examples of what a free Paleo app could offer. And because the Paleo diet is getting more and more popular there are a few apps available in the AppStore; some are free, while others are not. In the 5 Best Free Paleo Apps For iPhone, we will review the best free Paleo apps that could be great helpers to you in your new healthy journey. Before we have a look at the apps itself, we would want to know first what exactly we should look for in a single app. There is a variety of free Paleo Apps available for download in the AppStore. But which one to choose? You will be surprised to know that free Paleo apps could actually offer some valuable information and even tools. Here we summarized for you the basic information and tools that a free Paleo application may offer to its users. Most free Paleo apps offer a great variety of Paleo diet recipes. 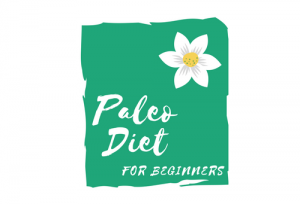 It is handy, especially if you are just starting the Paleo diet journey and would want to know how the Paleo meals should look like without investing into a specialized book. A lot of recipes in these applications are categorized based on the meal type or even specific diets (like vegetarian, low-carb, autoimmune protocol etc). Most free Paleo diet apps will offer full access to the recipes for an extra charge which is usually below the CA$5 mark. Most free Paleo diet apps will offer a feature of adding ingredients from the chosen recipe to the shopping list. Simply pick the meals you will be cooking through the week and add all necessary ingredients in one place. It is a convenient way to do grocery shopping. It is also a good way of budgeting, especially if you have a habit to grab something extra that you might not even need throughout the week. Tools and calculators are extra helpers that could be very handy for specific goals set, like weight loss. Some free apps would offer carbohydrates calculators where you would be able to set your personal carbohydrate goal based on your age, weight and height, and physical activity. Have you ever been in a situation where you are at a grocery store and are not sure if certain food or ingredient in a packaged food is Paleo? Well, certain free Paleo app would take that burden from your shoulders by offering a search for Paleo diet ingredients and in some cases even packaged foods. Of course, it is not a perfect tool as the amount of Paleo diet packaged foods is growing, but is definitely a great tool to search for single ingredients. And guess what is the best feature of the Paleo diet apps under review? They are all totally FREE. Of course, they will not cover all the aspects of the Paleo diet. For example, we did not find any user-friendly free Paleo diet app that would offer a meal planning or an ability to add picked meals to a list in order to create a meal plan for the week. But yet, this could be done on a piece of paper if needed. 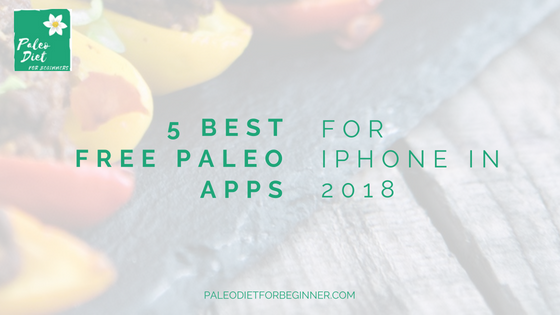 Here we picked for you 5 best free Paleo diet apps for your iPhone that could be your great tools in your new Paleo lifestyle. This is probably one of the best FREE Paleo diet app currently available in the AppStore. Paleo Leap is a great Paleo diet website resource that also offers an amazing free Paleo application for your phone. The application contains a big variety of Paleo-friendly recipes that are completely free. Note to mention that most of the Paleo diet apps would offer limited access to the recipes with the ability to have full access for an extra cost. The Paleo leap offers full access to their recipes for free from the start. The app also offers basic Paleo diet information, access to the featured articles, food list, carb calculator, mini-carb planner, vitamins, and minerals information and nutrition information for different foods. The only thing that we could not locate is the ability to create a shopping list based on the recipes chosen. So really, it is a great free Paleo diet app that could be your one-stop solution in case if you are looking for an app where you could find answers on a majority of questions. There is an option of unlocking additional 75 recipes for CA$3.99. The nice feature of this application is the ability to add ingredients from the recipes to the shopping list. The app also offers some basic Paleo diet information and Paleo diet food finder, where you could check whether certain ingredients are Paleo-friendly. However, we found that the offered food finder would probably not be a perfect tool in this app. For some reason, certain foods like lemon or coconut aminos were excluded from the Paleo diet. And we could not locate certain common ingredients like sugar or artificial sweeteners. Also, this app does not offer any tracking tools or meal plan solutions. Overall, it could be a great free Paleo diet application with a variety of free recipes and the ability to build a customized shopping list based on the chosen recipes. Paleo food is a free app for searching Paleo and non-Paleo foods and ingredients. The great feature of this application is that it allows you to search not only a particular ingredient but also for packaged foods. For example, it will point you out if Larabars are Paleo-approved or not. If certain foods or ingredients are not Paleo diet compliant, it will offer you a short annotation of why it should not be considered as Paleo. The app also offers a short description of the Paleo diet itself and some great tips on how to start the Paleo diet. This app could be a great tool for you to use at a grocery store, especially if you have certain doubts about ingredients or foods. Eat Paleo is similar to out #2 recommendation application in a way that it offers a variety of Paleo diet recipes. The menu itself is very user-friendly and you will be able to access the main categories from the top menu. The app also offers the ability to add ingredients to your shopping list that is a nice way to go grocery shopping prepared. However, we found that the variety of free recipes is much limited compared with the applications reviewed above. The app also does not offer any other features except for unlocking more recipes. The full access to the recipes database would cost you CA$3.99. It is a great application to have in case you would like to add more variety to your existing recipes, though it would be nice to have more features added to the application, like food finder or even basic Paleo diet information. The Paleo Buddy is a unique app among other Paleo diet applications reviewed above. It is basically a tracker of your Paleo diet success that will show you the percentage of your Paleo diet meals consumed during the week. You would also be able to set yourself a Paleo diet meal goal and track it. The Paleo Buddy offers a food list where you would be able to check whether certain ingredients are Paleo. Unfortunately, it will not assess your own added recipes automatically, which would be a nice feature to have. It offers an upgraded version of the application for CA$6.99, however, it does not explain what features would be added prior to the purchase. It is a nice app to have for tracking your Paleo diet success journey with certain nice features added. As you can see you do not have to spend a ton of money to have a Paleo diet application on your phone. There are plenty of great FREE Paleo diet apps that would compliment your new healthy lifestyle. Some apps would offer more features while others could share certain unique features that will compliment your main chosen Paleo app. We hope that there will be more free apps available in the AppStore that would offer a variety of great features combined all in one app. Paleo Apps Reviews, Product Reviews best paleo apps, download paleo apps, free paleo apps, paleo apps for iphone. permalink. Awesome information! I am going to be sharing this post with my daughter – she will find it very useful. Thanks for posting this! I am glad that this post was helpful for both you and your daughter. Let us know how those apps worked for you! I showed it to my wife and she’s downloading the apps. We are happy that this post was helpful for you and your wife. What app did you like the most? Were they sufficient for you to use while on the Paleo diet? Thank you for such an amazing site. I love the way it’s laid out. Very organized. I got lost in it! I looked at your baked rabbit in tomato sauce recipe. I’ve never eaten rabbit before, but I was really intrigued. I’m a low-carber myself. I’m glad you’ve given specifics about apps that will help with paleo. Paleo Leap app is awesome, and I wouldn’t mind paying the extra $3.99 for the additional 75 recipes. Great job! We are happy that you found our website in general and this post in particular very helpful. The Paleo Leap is a totally free app and does not offer any paid upgrades. Paleo Plate, on the other hand, over at upgrade for extra 75 recipes. Both apps contain an amazing variety of recipes that will be suitable for any type of event or meal type. Let me know if you have any questions and we will be happy to help you out. Wow, what great information on this diet! I was so worried about starting something like this because the information on it made this seem so difficult to do and stay with for any length of time. However, you made outlined this beautifully. I really like the thought of this app and I’m gonna check it out. Seems like it makes this new way of eating simple stupid lol. A lot of people would like to change their habits, but some gets overwhelmed and give up on that stage of gathering information. Having the right tools, especially in the beginning, is very important. We picked the best free Paleo apps that should help you get started and make your transition easier. This is full of useful information! Learned something new, and found just what I was looking for! We are happy that this post was valuable to you and hope these apps will be useful to you.